Is it too late to change wildcards? Thanks. Can you post my team when you get a chance? Derwood wrote: Is it too late to change wildcards? Yes. That can only be done during the All Star Break. Sammy Sofa wrote: Thanks. Can you post my team when you get a chance? I was hoping to wait until after the trade deadline, but I guess not. Please boot Cespedes and add Bregman. Done and done. This is your second transaction of the second half. Wondering how much longer I should hold on to Miguel Sano. PackLandVA wrote: Wondering how much longer I should hold on to Miguel Sano. Wasn't he just called back up from the minors? I kinda got stuck with him. I had to make two moves early in the first hals, and then he got sent down. Had to make a move right after the ASB, and didn't want to burn both so early. So I hope he's back and hits a few in the next two months. Damn; the Cubs' depressed dong output has infected my team. *I'm super glad I kept him the entire time he was in the minors. 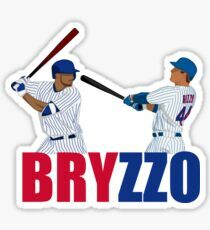 And now that he's back and actually hitting dingers, it's time to jettison him for Ramirez. Last move of second half.